This pieced flying goose unit adds lots of interest to a traditional block. By using the Large Square Squared we can create these tricky looking flying geese slightly oversized then trim them down to perfection. This technique walks you through the process of making four units. 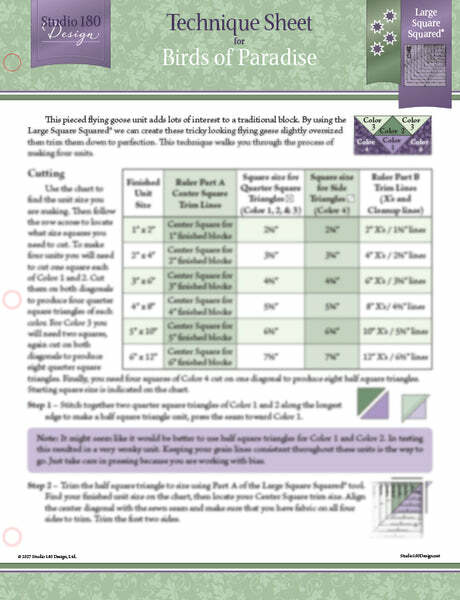 The included chart gives you cutting dimensions for six different sizes, from 1" x 2" to 6" x 12" finished units. Fun block suggestions also included.